Until I read this article in Politico Magazine, I like many, thought that Texas Republican Governor Rick Perry’s indictment sounded more like partisan misuse of power than a legitimate response to malfeasance. After all, how many reasonable people think that the head of a “Public Integrity Unit” deserves to keep her job after being arrested for DUI and is caught on video verbally abusing police officers? From the information much the world outside of Texas had, Rick Perry was simply trying to force an ethically tarnished public servant from office. This informative article tells us that Rosemary Lehmberg’s arrest gave the Perry administration the perfect cover it was looking for to put the brakes on the watchdog group’s investigation into how the Governor’s office was abusing its powers to in the cause of providing a state grant to a well-connected bio-tech firm. It’s much more serious than they think. Take it from us—we filed the complaint. Reading an Austin newspaper on the morning of June 11, 2013, it struck us — then and there — that Texas’ longest-serving governor had broken the law. A gubernatorial spokesman confirmed in that story that Gov. Rick Perry had threatened to veto $7.5 million in state funds for the Travis County district attorney’s Public Integrity Unit unless District Attorney Rosemary Lehmberg resigned her elected office before the week was out. Our office soon identified four state felonies applicable to the governor’s actions. They are: abuse of official capacity, coercion of a public servant, official oppression and bribery. We filed a complaint on June 14 with the appropriate authority: Lehmberg’s Public Integrity Unit. Lehmberg properly recused herself from the matter because of her central role in it. Two months earlier she was arrested for driving drunk—with a bottle of vodka onboard—and for grossly abusing her arresting officers. Once sober, she apologized, pleaded guilty, served 22 days in jail, sought treatment and promised not to run for reelection in 2016. But she refused to resign, which would have allowed the governor to appoint her replacement. Since a lot of you East Coasters seem confused by the Perry indictment — the New York Times editorial board wrongly called it “the product of an overzealous prosecution” — let’s put it this way: Lehmberg’s bottle of vodka was as much a gift to Texas Republicans as Eliot Spitzer’s libido was to Wall Street. Each of those officials handed their political enemies the instrument of their own destruction. For at least 10 years, the Texas Republican Party has officially sought to strip Travis County of the public integrity unit, which prosecutes political corruption. In this bright red state, that office remains one of the few significant powers left in Democratic hands. Last December, the integrity unit secured the indictment of an ex-official from Perry’s state cancer research fund for an improper $11 million state grant to a politically connected biotech firm. Combine the integrity unit’s power with Lehmberg’s drunken outing and it is no wonder that Governor Perry pounced. Understandably, Perry’s defenders don’t want to talk about all this: They’d rather replay Lehmberg’s arrest videos and assert Perry’s uncontested veto powers. These good public relations moves ultimately do nothing to address the serious legal charges against him. 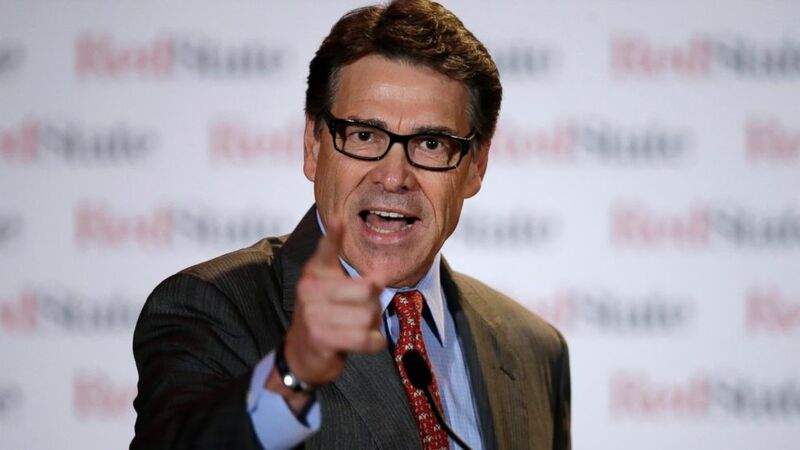 The big lie in Perry’s PR playbook is to dismiss these charges as a partisan witch hunt. While there’s no bipartisan love between Perry and Lehmberg, Perry’s indictment has been advanced by Republicans. Recusing herself, Lehmberg referred our complaint to local Democratic Judge Julie Kocurek. Judge Kocurek also stepped aside, forwarding the matter to a Republican Perry appointee: Judge Billy Ray Stubblefield. Stubblefield assigned the case to Republican Judge Bert Richardson in San Antonio. And Judge Richardson appointed Michael McCrum as special prosecutor. It’s hard to argue that McCrum has a partisan axe to grind. He served as a federal prosecutor under the first President Bush. The second President Bush later nominated McCrum to be a top federal prosecutor — with the backing of Texas GOP Senators Kay Bailey Hutchison and John Cornyn. If Perry’s indictment really is a partisan witch hunt, then it is one of the Grand Old Party’s making. Meanwhile, the few people who actually have reviewed the state’s case against Perry paint a radically different picture. Texas’ last indictment of a sitting governor occurred in 1917, when Democrats exercised monolithic political power. A Travis County jury indicted Democratic Governor Jim “Pa” Ferguson for vetoing state funding to the University of Texas after its regents refused to fire gubernatorial critics. That indictment was the prelude to Ferguson’s impeachment and resignation. Although we filed the complaint that triggered the Perry investigation, we don’t know exactly what evidence McCrum amassed for the grand jury. A trial would not only give Governor Perry his day in court but would let the public — and skeptical Beltway pundits — judge for themselves whether McCrum has the goods. Craig McDonald is director and Andrew Wheat is research director of Texans for Public Justice.Craig McDonald is director and Andrew Wheat is research director of Texans for Public Justice. Next Next post: Do You Think the Dead Shooting Instructor Is Feeling Macho Now?